Lost Cultures / Found Voices is planned to be an interactive trans-cultural audio-art installation. 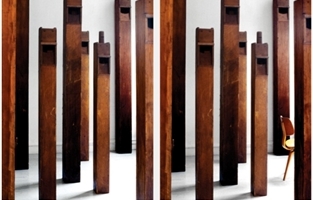 Viewers wandering into the installation will experience a geometric configuration of large-scale wooden columns-formerly organ pipes-emitting recordings of several extinct languages. Each column is paired with a distinct language recording that plays when it senses a viewer. Lost Cultures / Found Voices includes an array of archival recordings retrieved worldwide from diverse institutions. Each audio element is a unique audio work. Interaction with any column in the installation ‘voices’ a specific language either as spoken word or song. The viewer is the performer in this work. As sever- al people wander through the installation a chance symphony of voices will create a sound ethno-sphere. 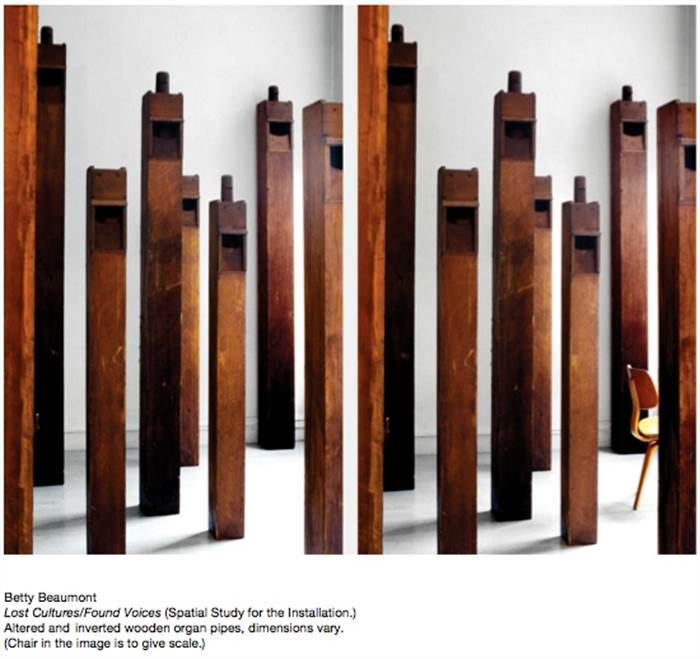 To support the Lost Cultures / Found Voices artwork by artist Betty Beaumont; please donate with a tax-deducted amount. New York Foundation for the Arts (NYFA) Artspire is the fiscal sponsor for the Lost Culture / Found Voices, a project developed from Interactive Alexandria.